This double-sided micro pro disc is the most advanced system for cue shaft conditioning. It quickly smoothes and polishes your cue shafts. 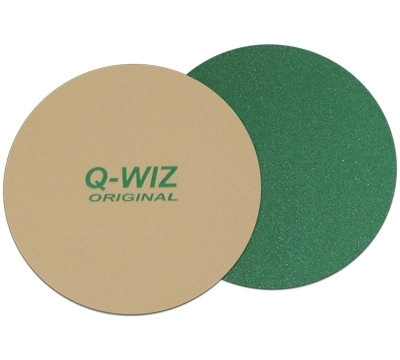 Use Q-Wiz as often as you like without fear of damaging your shaft or reducing its diameter.